This follows my views relating to the Law of Attraction for life and my golf game. Being motivated to golf is deeply rooted in my thoughts. It is important to manifest the positive attributes wanted to produce lower scores. This is a simple process that requires continual effort; yet, it is not arduous or difficult. Staying motivated to golf is not just about playing golf! What enjoyment do you receive from golfing? If you are thinking about it now, you might be confused about my question because you just respond that it is fun. Others might offhandedly say because it is what I do with my spare time. Ultimately, you must be receiving something or else you would find another way to spend your time. Playing golf with my wife. She continues to learn and as such we spend more quality time together walking the course, enjoying being in the moment. Golf continues to teach me things. It is a gentlemen’s game with a philosophy that resonates with me. Its teachings are bigger than just playing golf and has helped shape some of the positive aspects of my life! Daily conversations, tips, hits, drills and positive support from like-minded players. 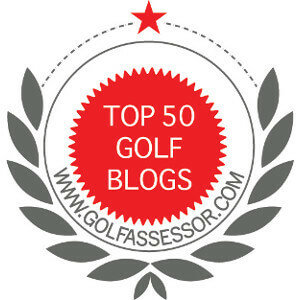 It is enjoyable to hear the views of others and converse on all things golf. The laughs, joys, jokes, and camaraderie I have when playing golf. Although it is presently our off-season, I am looking forward to positive interaction of playing golf with friends and strangers in 2017. Being motivated to golf is a personal thing. Everyone has different reasons to hit to links. Regardless of what drives you to lower your golf scores, being motivated is important. It props up your game when it starts to falter and accentuates your highlights when playing well. I stay motivated by regularly being engaged in my game. It enables my efforts to be a scratch golfer and this 2017 is going to be an awesome year! What motivates you to play golf? What motivates me to play golf? Pure stupidity. It’s a game. I should not spend nearly as much time as I have on playing this game. But something about this game has a hold on me. I own a pool table, but I never just practice. I hardly ever take the cover off unless I have someone to play with. Golf, on the other hand, I enjoy with or without companions. I play a ton of rounds alone. I go to the range and practice, again usually alone. I even have a goal!! I have places to put in my room and on the porch. Personally, I am not so sure it’s about motivation so much as addiction. I think we all have a bit of an addiction about golf and that is motivating!